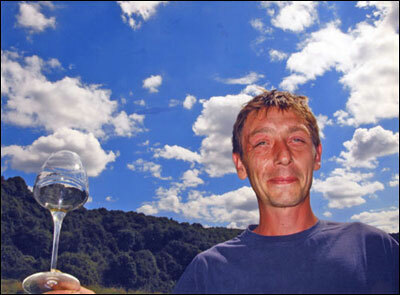 I had begun communicating with Julien Labet about a month before my trip to Jura in 2008. Oddly, my friend Thibault Despagne from Bordeaux had send me a photo of a Domaine Labet bottle shortly after that, saying he had drunk it in Ireland and found it to be great. There was an odd connection there that could be more than coincidence, I felt. But after tasting the wines in Pupillon, I had once again become skeptical about all the wines in Jura. I said to my companion, "Let's taste the wines quickly, explain why the wines won't work in the US market, then boogie." After all, we were hungry again (somewhat odd in that we had eaten massive quantities of pork only hours earlier), didn't have a hotel for the night, and were literally in the middle of nowhere. We finally arrived at eight o'clock. We met Alain and Josie Labet, the parents, who led us into a small, dimly-lit, underground cellar where we waited for Julien to arrive from his house down the road. Julien came in and brushed the rain off his coat. Julien is a rather funky guy: part punk, part stoner. He looked like he could have cut his blond hair himself. His English is street smart, obviously learned on the job rather than in a book. He's a bundle of energy and had already pulled the corks of about twenty wines. Before long, we got down to business. 15-to-30-year-old vines. A blend of various parcels with a blue and white marnes base. Tasting Notes: Candle wax and citronella candle, with a lovely, citrusy acidity that livens up this full-bodied wine. 20-to-30-year-old vines. A blend of various parcels with a marne and lias base. Tasting Notes: Topped-up style has great fruit, a touch of honey and lovely minerality. An awesome glass pour. The Labet Wine TastingFirst wine: Savagnin. Full of bright, citrus fruit and lovely acidity, spot on. Second wine: Savagnin/Chardonnay blend. Forward fruit, nice minerality, oily terroir, something like a wacky hybrid between white burgundy and Alsacian riesling. Then a flight of Chardonnays from different terroirs composed of differing amounts of marl and limestone, with different exposures and vine ages. All had great balance, with exotic fruit and an underlying minerality that showed wonderful expressions of the grape. coming from a parcel called Les Varrons, situated on a slope with a top altitude of 280 meters, exposed toward the east. 65-year-old vines from sélections massales (vines existing on the property rather than more modern clones). 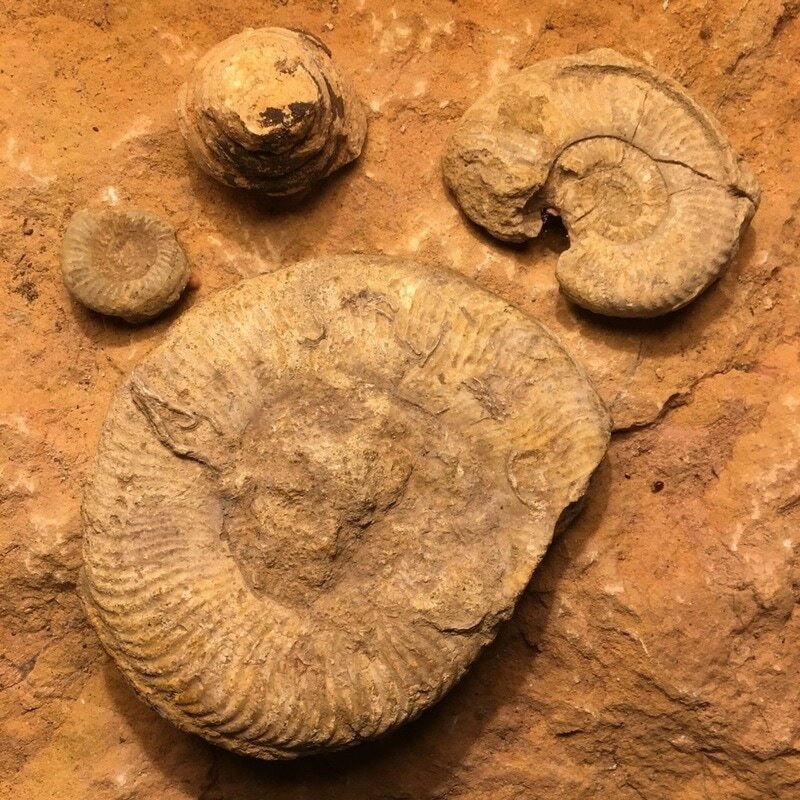 Complex soil combines Benthonien and Bajocien limestone, with 30 to 80 cm of yellow and ocre-colored clay, striped with eolien sediment. While tasting, Julien tells us he studied at a Domaine Ramonet in Chassagne-Montrachet and Hamilton Russell Winery in South Africa (both damn good references). He now makes his father's wines along with some others with his own name on the label. 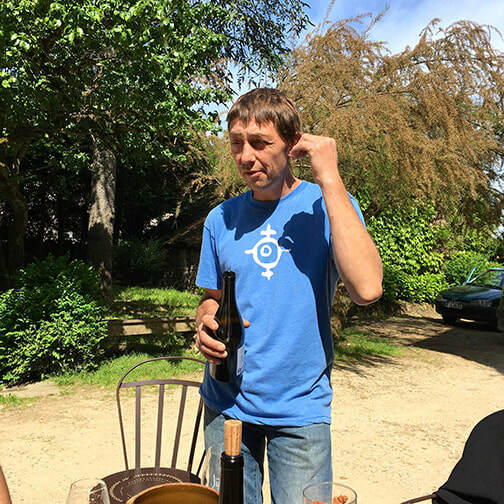 Seems Alain is happy to let Julien exert some of his knowledge and passion on the family business, but not on all of the wines. After all, the local market is used to the taste and price of the wines they have produced for years, and the French market is essential for their survival. In fact, the whole family depends on the income, as Julien's brother Romain and sister Charlene are also employed by their parents. Julien started pulling more corks. It seemed like we weren't going to be looking for a hotel immediately. Trousaud, Poulsard and Pinot for red wines, a rosé crémant, the rarely-seen Macvin, and the wonderfully rich Vin de Paille amongst others. ​Josie Labet came down the stairs and laid a cutting board on the table, covered with saucisson sec and comté cheese, both regional specialties. As we nibbled, Julien spoke. 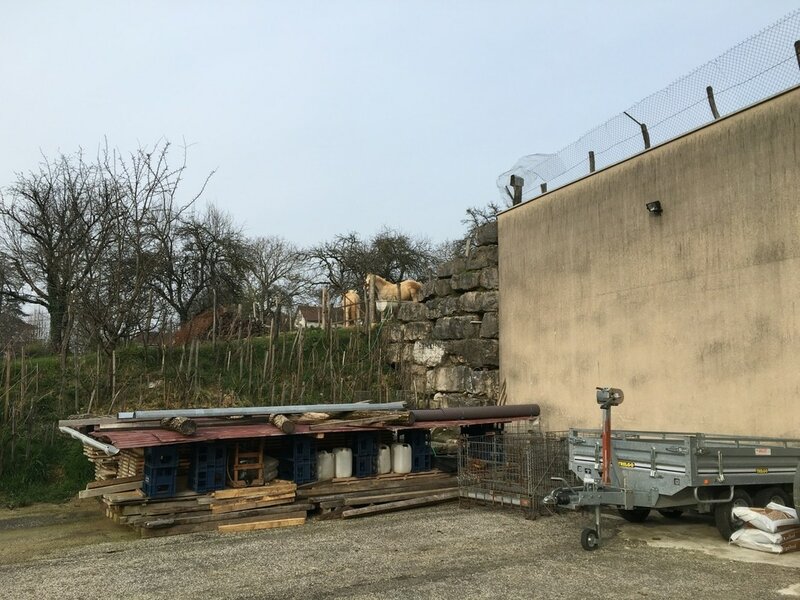 He told us that the family owns 12 hectares of vines in the small town of Rotalier, in the southern part of Jura not far from Lons le Saunier. It's an area more known for Chardonnay than Savagnin. The domaine is only 15 minutes south of Château Chalone (small appellation known for its top quality Vin Jaune). One-third of the Labet vines are over 60 years of age. The majority of the vines come from old massalselections. Depending upon the parcel and vintage, the yields vary between 20 and 40 hl/ha (1.5 to 3 tons per acre). The fruit is hand-harvested and there is a manual sorting before pressing. Only indigenous yeasts are used during the fermentation of the all their wines. 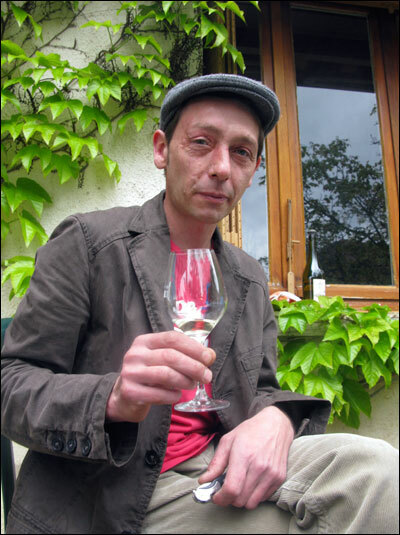 Julien Labet in 2013For the reds, the grapes are either fully or partially de-stemmed, depending on the vintage. 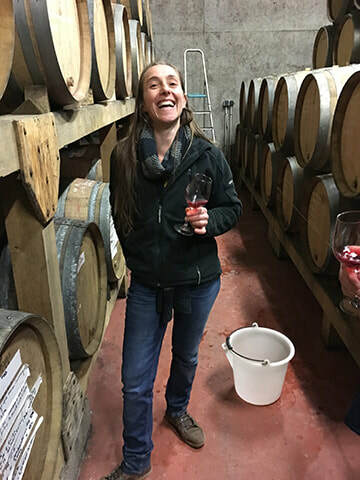 The Pinot Noir andTrousseau are aged in barrels. The Poulsard is aged in ancient foudre. The whites have two distinctive styles: The first wines are topped-up and made in a more modern style in which oxidation is prevented. With these wines, all plots are vinified separately. The fermentations are long and at a low temperature. The wine is raised on its fine lees in 228-liter barrels that vary between 1 and 5 years old. The upbringing of the whites depends largely on what the vintage presents and the parcel-there really is no recipe. The lees-stirring is not systematic, nor is the amount of time the wine will spend in barrel. The second style is the traditional or oxidized style (vin de voile). These wines come from various parcels that are blended together. Only indigenous yeasts are used for their fermentations, which takes place at a low temperature in ancient foudres. 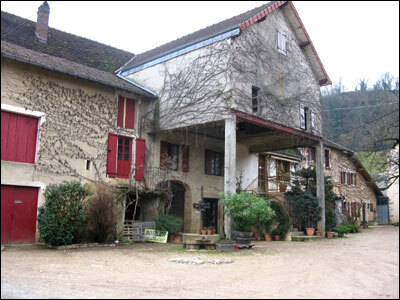 In the spring, the foudres are racked and the wine is placed into ancient 228-liter barrels. The wines are not topped up, something that encourages the development of a yeast veil which hovers over the surface of the wine. This method of aging helps prevent the wrong type of oxidation which would convert the wine into vinegar, and instead allows it to develop an original bouquet that includes curry, hazelnut and walnut-aromas historically well-known in the Jura. While not organic, Labet is attempting to work as close to natural principles as possible. 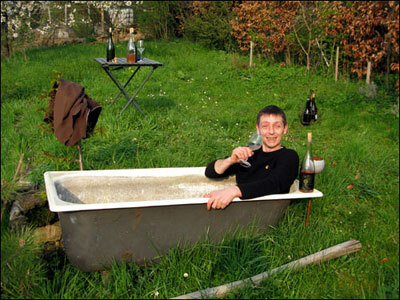 He considers the domaine to be completely sustainable. No chemical fertilizers or pesticides are used, and only organic compost is plowed into the soils. Most of the vines are from pre-clonal stock (sélections massales) and the yeasts are indigenous. 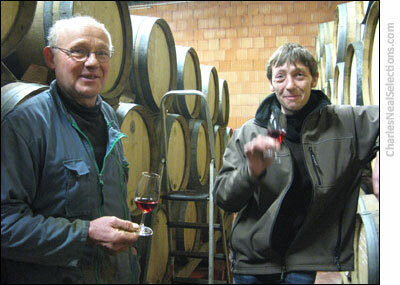 While they do make some wines that have the typical Jura style that includes nutty oxidation, most of the Labet's wines are from topped-up barrels. Wines called Fleurs are cuvées that are vinified and raised in a topped-up style (without oxidation). The objective with these wines is to transmit an original expression of the vine, the grape, the terroir and the climate. "We like to trust our intuition," Julien says. "But we also feel that tradition includes experiences that the present should feed on." One meets many producers while traveling along the wine trail. But as the years pass and one tastes more and more wine, it's rare for the light bulb to flash when tasting an assortment of wines for the first time. But suddenly the dark cellar was becoming brighter as each wine was poured into our glasses. I cut myself some saucisson and grabbed a hunk of cheese. Julien poured another wine into my extended glass. I wasn't thinking about the time anymore, or finding a hotel that night. I felt perfectly fine right where I was. 60 year-old Chardonnay vines from sélections massales planted on ochre and gold-colored marne. The slopes top out at 260 meters and are exposed to the northwest. Chardonnay more than 40 years old, from sélections massales. Planted at 260 meters, with a west-facing slope on blue clay and bajocien limestone. 60-70% Chardonnay and 30-40% Savagnin, depending on the vintage. Vines are between 30 and 60 years old. A blend of various parcels planted on marne. Aged under the veil in old 228-liter barrels for between 24 and 48 months. A blend of Chardonnay, Savagnin and Poulsard from various parcels, from vines between 30 and 60 years old. The exact blend varies according to the conditions of the vintage. 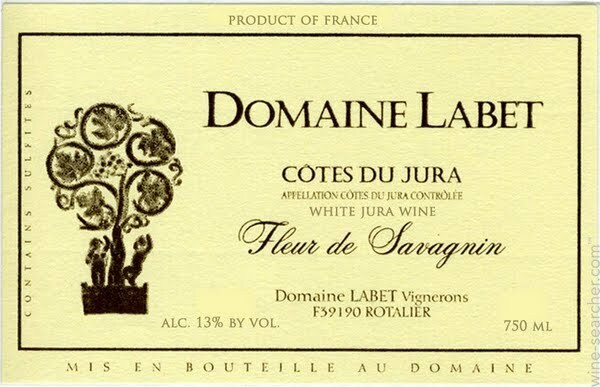 Vin de Paille (straw wine) is a specialty of the Jura. The top grapes are harvested and aged in a dry, third-floor attic on straw mats for four to five months. After the grapes are pressed (with sugar levels between 340 and 420 grams per liter) they are fermented with indigenous yeasts in well-seasoned 228-liter casks. Fermentation is long, lasting anywhere from 6 to 18 months. The resultant vin liquoreuxis about 14.5% alcohol and has a residual sugar content of between 100 and 180 grams per liter. Whereas Cognac has Pineau des Charentes, Armagnac has Floc de Gascogne and Calvados has Pommeau de Normandie, the Jurasic version is called Macvin du Jura. Here, producers use a blend of 2/3 unfermented juice which is muted with a third Marc (the distilled lees and the French equivalent to grappa), which prevents the fermentation of the sugars and stabilizes the alcohol at 18%. It is aged in well-seasoned 228-liter casks and is most commonly drunk as anapéritif. 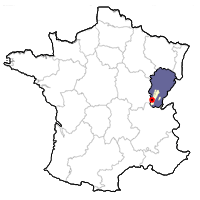 ​The Crémant de Jura appellation was established in 1995. These wines are made like Champagne, with a secondary fermentation taking place in the bottle. The crémant rosé is made with pure pinot noir, fermented in 228-liter barrels. Skin contact takes place for four or five days until the desired color is acquired. The wine rests on its fine lees for eight months and undergoes a full malolactic fermentation. The wine is given some liqueur d'expedition (yeast and sugar) and bottled, and their interaction makes the secondary fermentation take place in bottle. After 24 months, the bottles are riddled over a period of 3 weeks and finally disgorged, given a small dosage and corked. Tasting Notes: Good color for Poulsard — ruby and barely transparent. Forthcoming nose of red fruits and crushed pepper, with a lightly tannic, spicy finish. Tasting Notes: Deep ruby color. Pinot-like aromas with a hint of spice. Similar flavors on the palate, with a soave texture and lightly tannic finish. Delicious!